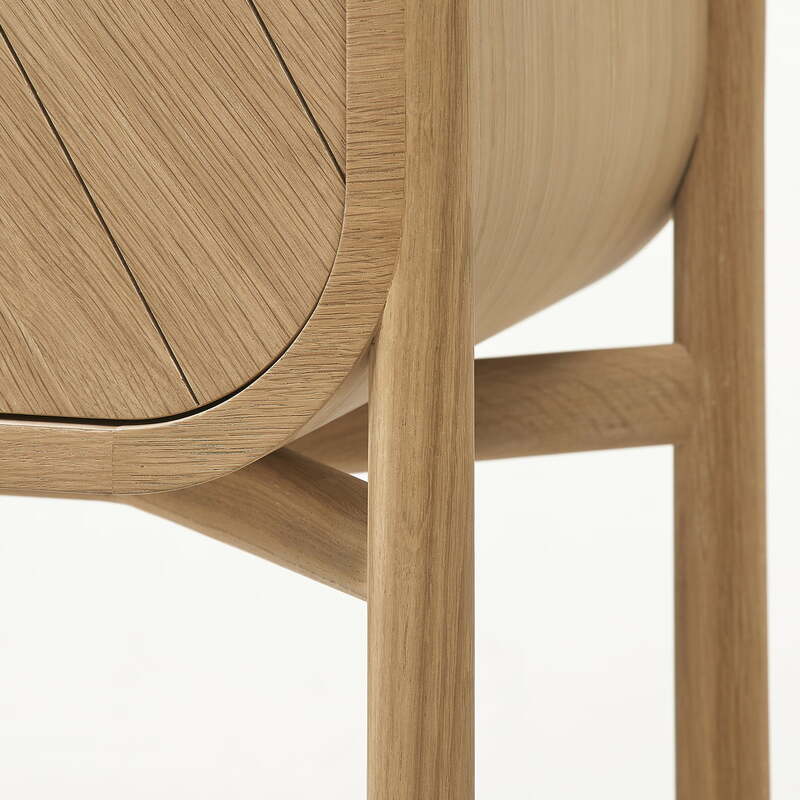 Pierre-François Dubois created the Marius console table for Hartô from MDF and oak veneer with oak legs. While the rounded shapes are reminiscent of ship hulls, the linear outline of the drawer provides a geometric touch. The console table comes into its own as a dressing table in the bedroom or serving as a practical as well as decorative surface for keys, smartphones, sunglasses and more in the hallway. The console table is made from MDF and oak veneer with a matte finish, while the four-legged frame is made of solid oak. The tabletop with a built-in drawer has a lightweight appearance and is rested on the frame without needing to be glued or screwed in. Letters, memories, photos, scarves, hats, and more can be stored in the drawer itself. 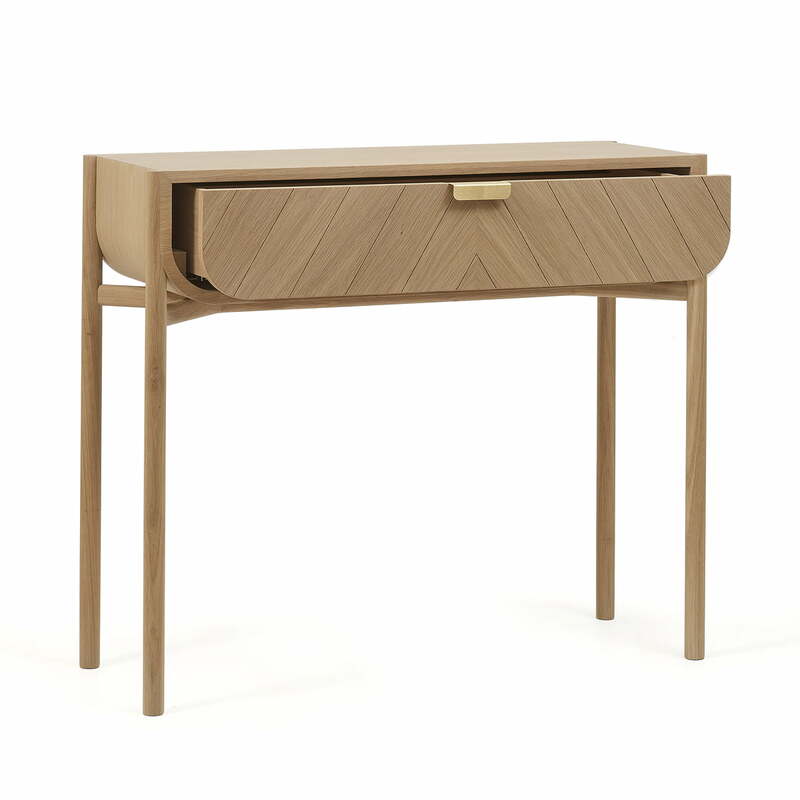 The Marius console table is available in various colours. Pierre-François Dubois created the Marius console table for Hartô from MDF and oak veneer with oak legs. 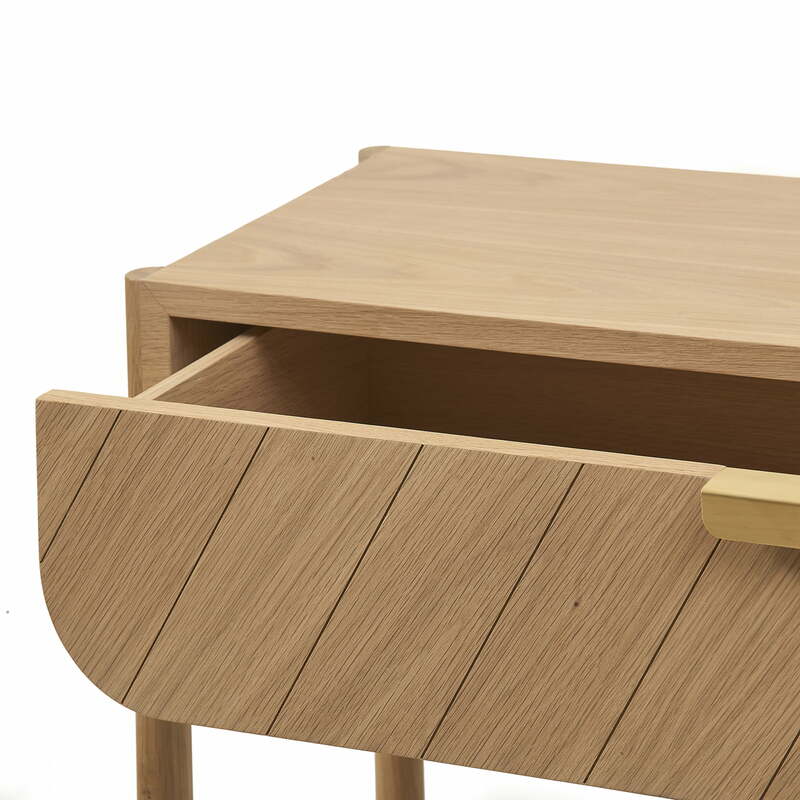 While the rounded shapes are reminiscent of ship hulls, the linear outline of the drawer provides a geometric touch. Detailed product image of the Marius Console Table by Hartô with an open drawer. Letters, memories, photos, scarves, hats, and more can be stored in the drawer itself. 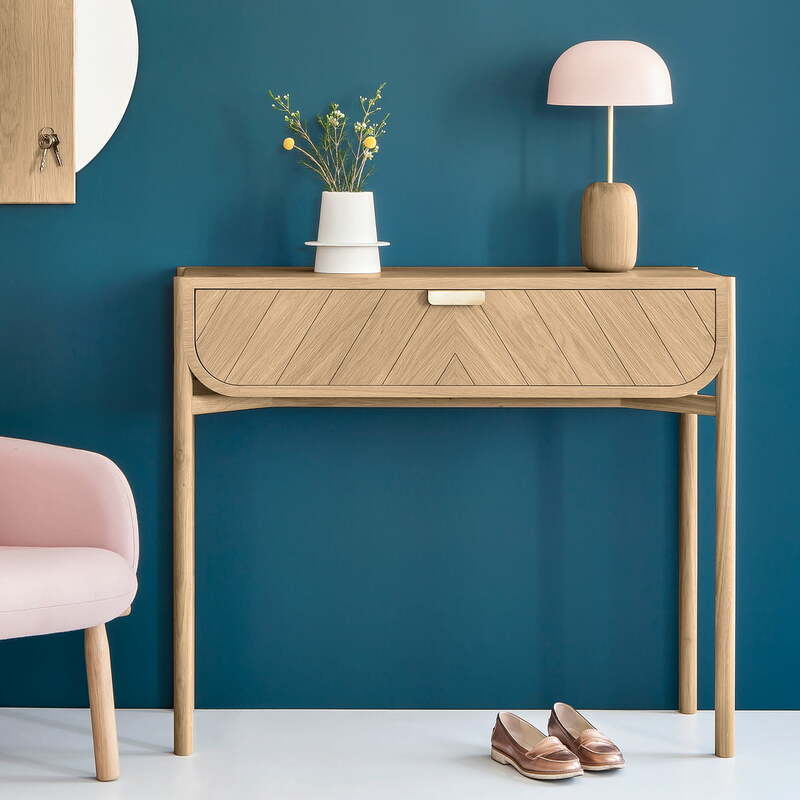 Detailed product image of the Marius console table by Hartô: The tabletop with a built-in drawer has a lightweight appearance and is rested on the frame without needing to be glued or screwed in. 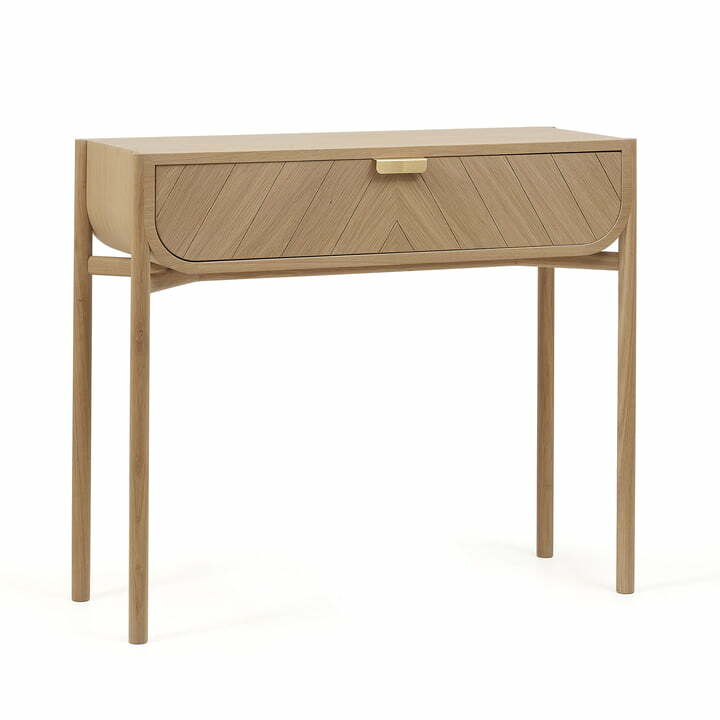 The console table comes into its own as a dressing table in the bedroom or to serve as a practical as well as decorative surface for keys, smartphones, sunglasses and more in the hallway.